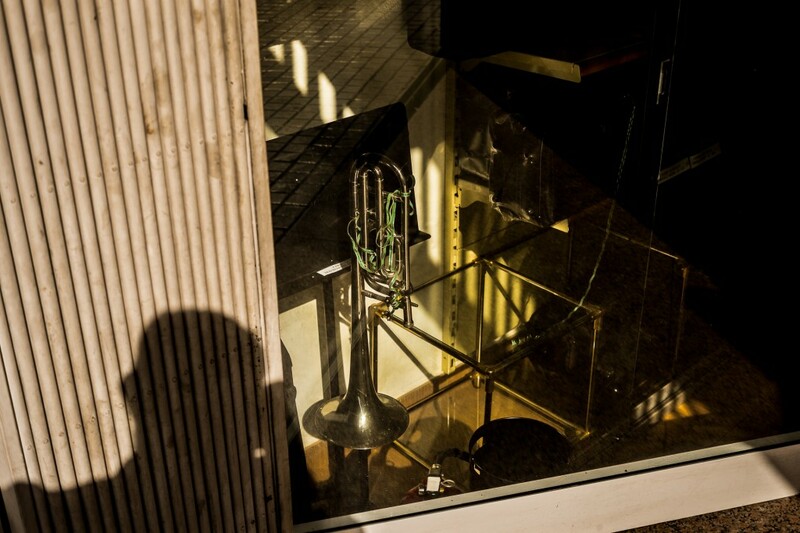 A trumpet in a shopfront cought my attention today. A sad trumpet in a sad shopfront. Who may have ever made it sound?